Music, lyrics, images used in this clip, and all other credits are copyright properties of their respective owners. Although now I'm a grown up, Is it still okay to ask your help about that dream? Is the innocence of youth an illusion? What if the truth actually lies in that belief? 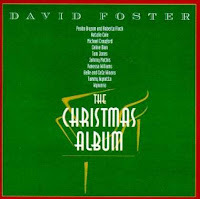 Years ago, my dad (who was very much healthy and of course still alive that time) bought me a Christmas album, a David Foster "The Christmas Album" with green front cover and all. It showcased amazing singers and was even still in cassette form that day. There was this one song, that I fell in love instantly, and had me run away to hide in closet hiding my tears from my family. It was a touching song, and the song was titled "Grown Up Christmas List" by Natalie Cole. That time, I decided I HAD to sing to this song, cause it's one of my favorite Christmas song. Years passed, the opportunity NEVER came, the church always left me out, my family and friends wouldn't help me with the music... Finally the day has come for me to be able to sing it, and even record one. I was ecstatic when I discovered the instrumental by Jesse L Cue, and decided to use it for my own. The instrumental was Michael Buble's version... which is a renewed of Natalie Cole's. Mr Cue haven't gave me permission to use his work, but I posted the song instead (hence why I put is as Special Collaboration as well) and be sure to credit his awesome work. I also took the liberty to write my own version, in Japanese language cause I haven't found it anywhere on the web. If someone had already did it who knows where, then this will be 'my' version instead, a new version with 'different' Asian flavor. I tried so much not to remove crucial part, and kept it like the original, however Japanese syllable fit shorter space than English, so well... hope you'll excuse the result if it's not satisfactory. This is another dream come true for me. Eventhough I would really want to have it done in a studio and released the album professionally, the chance to be able to hear my own version of this song... is already a truly heartwarming experience. I really thanked the Lord for fulfilling some of my longtime wishes and dreams this year, even when the year itself had been painful and dark for me. I guess dreams are meant and made to be achieved right? My dream to release my very own Xmas Album is still on the list though, so... can't stop dreaming now! Hahaha Dream on!! As I said in my previous post, as I grew older and more mature (age-wise, not so sure about personality/attitude-wise XD)... The atmosphere of Christmas had shifted into a new perspective. It's not about fun celebration anymore. Another Christmas, means another year had passed, as well as reaching toward another end. For the present me, it has now became a moment to look back, and to reminisce of all the things in the past, and what we have done or contributed to the world. Whether it's the world in literal term, or a 'small world' which implies to everything around you, surrounding your current presence (family, friends, neighbourhood, work, society, and all). The world changes as time goes by, and it's getting darker and darker everyday. Violence, and anarchy are getting worse. Humanity is tossed away and treated like garbage, and people legalized everything to get what they want. The big question is: Have I done anything to make this world into a better place? Have myself and my heart has changed into a better person as well? What have time shaped me all these years? I don't think I should say more, cause the song and the video had said it all... About my heart, about what I feel, about my new point of view about Christmas... about what I want, my hope and dream for my future. Hope you enjoy it, and please... take a small of your time to pray, or at least think about this world we're living in, cause even one person can make a difference to the planet! 3 days to Christmas... Prepare your heart for the blessed day... God Bless You always! You can find the original English version by Natalie Cole, Michael Buble, Kelly Clarkson, Charice, and many others on the net... Just type the song title, and Google will direct you there! Enjoy! - ...Let the MIRACLE ring its BELLS on Christmas Day...!